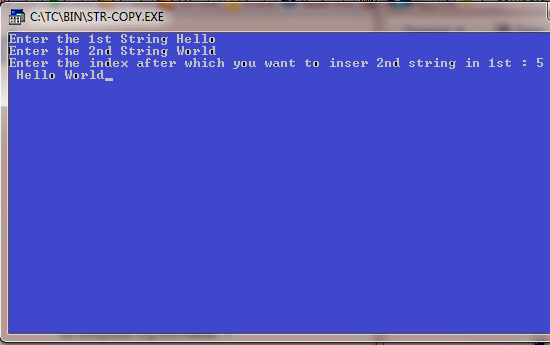 Here is a program in C to copy one string to another string using user defined function. Here two character arrays are defined then prompted to enter the strings and copied to the first string using while() function. At first declare two strings str1 and str2 and integers m, i, flag and j under main function. 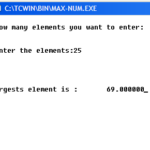 Prompt message to enter the strings and allow to enter strings using gets() function. Prompt the message and allow to enter the index where you want to insert in the first string. 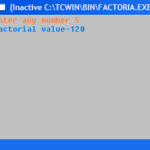 Copy second string to the first string using while() function. Print the first string to the screen.